Is Your Business Website Making Headlines Or Sitting In The Sidelines? 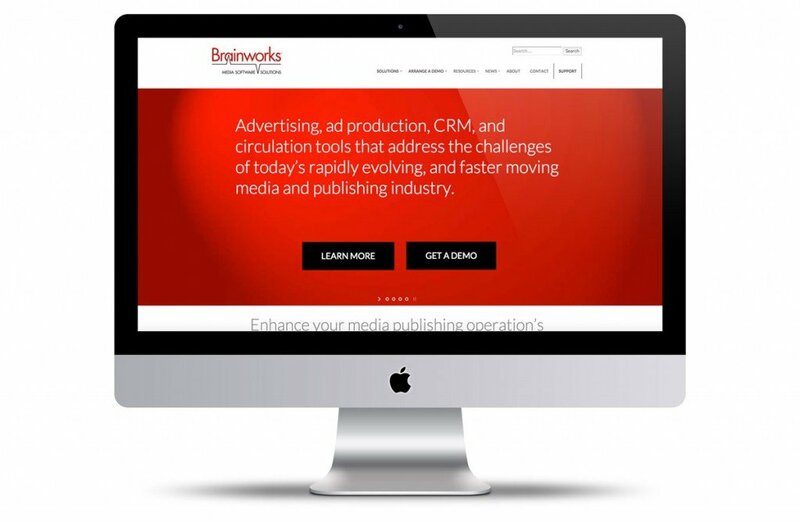 As an enterprise providing intelligent software solutions to the newspaper and media publishing industry, the team at Brainworks prides itself on media expertise as well as resourcefulness in business SaaS (Software as a Solution) development. Therefore, the Sayville, NY, company’s decision to engage Vortex Communications to update its website, was made on the premise that Brainworks wanted to make improvements, without distractions from doing what it does best—developing and selling digital and print publishing software solutions. Miami-based Vortex Communications was a smart choice to help Brainworks with content development, web design and search optimization, while making the new site responsive (smartphone and tablet-friendly). Once the content strategy was established, the Vortex team got busy building a completely new Brainworks site using the ever-popular WordPress platform. The project’s web design and functionality requirements precluded Vortex from using an off-the-shelf theme. Weinkle says, “We recommended custom theme design because from a long-term perspective, we knew we could deliver a a user interface that stands apart, streamline content management, and enhance productivity for our client. Custom content modules throughout the WordPress website that enable the client to add or modify content, without the need for design-decision-making or programming skill. Brainworks’ team understood the dilemma of getting the best from their online presence, while focusing on its core business competencies. The solution to that dilemma lay in working with a trustworthy and graphic and web design partner committed to excellence. Brainworks management knows it made the right decision and the same can be true of your organization. If you’d like Vortex Communications to help ease your web design distractions, contact us online or contact Tom Weinkle at 305-667-6662.